Everyone wants to go to work, do their job well and get home safe. 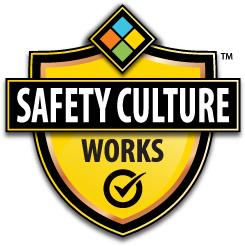 The Safety Culture Works Program combines world-class QHSE consulting and cutting-edge safety solutions through online learning and results-driven safety apps. Our Program is designed to support your organization in creating, developing or improving Safety Culture. Using the appropriate tools and services, we help clients and partners identify and build the capabilities essential to their operational excellence. Paper is the past – digitizing safety is the best method to reduce risks. The SayleSafety App allows the user to photograph, assess and control hazards on any device, tablet or computer. By implementing this app, management can feel confident with the extension of their strong Safety Culture and due diligence. Our online suite of courses is designed to continuously improve Safety Culture and ensure due diligence. Through positive beliefs, attitudes and practices, Safety Culture online training allows you to make the right decisions for the right reasons, every time. Ensure your production organization is planning for success by ensuring your workforce has the information necessary to protect themselves and their co-workers. A Safe Work Practice or SWP is a document written specifically for a particular safety-sensitive task, which details the guiding best practices and principles for ensuring safety and security during the execution of work. Implement the most comprehensive content in the space from the industry safety experts. We help identify and build the capabilities essential to your operational excellence. We help you identify and address the QHSE risks at all levels, including Corporate, Project, Process and Task. We work with your team to develop customized integrated management systems.